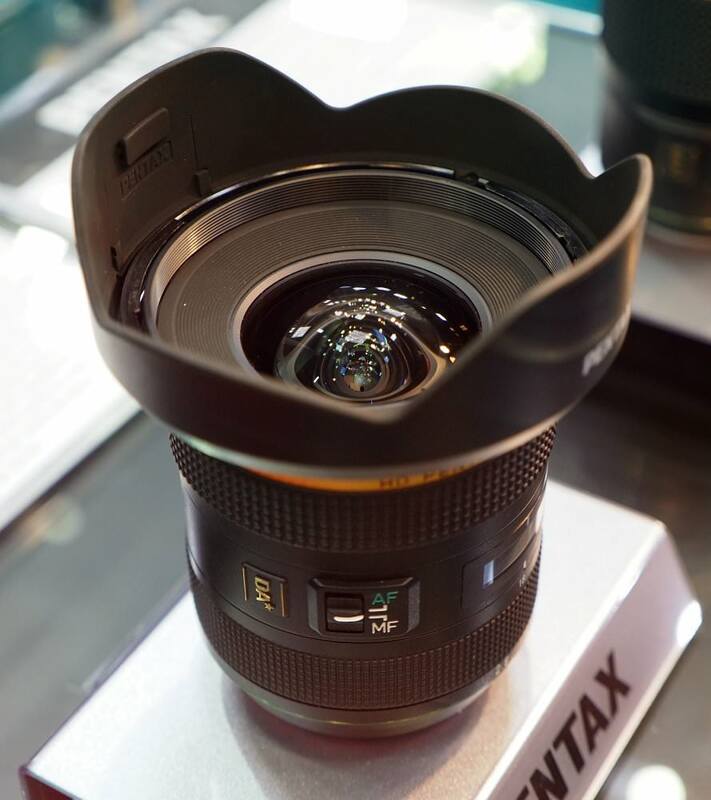 Here are photos of the new HD Pentax-DA* 11-18mm f/2.8 APS-C lens that is currently under development. The Pentax DA* 11-18mm f/2.8 AW (All-Weather) lens has an AF/MF switch, focus display, and a clamp on one side to lock the lens' focus position. You can view the lens, with the 50mm f/1.4 lens, behind glass, at The Photography Show, at the NEC, Birmingham, from 17-20th March 2018. According to the Pentax lens roadmap, the 11-18mm f/2.8 should be available from Summer 2018. Just about perfect specification for an APS-C wide angle zoom. Do those 2 little screws inside the lenshood tighten to stop the hood twisting?